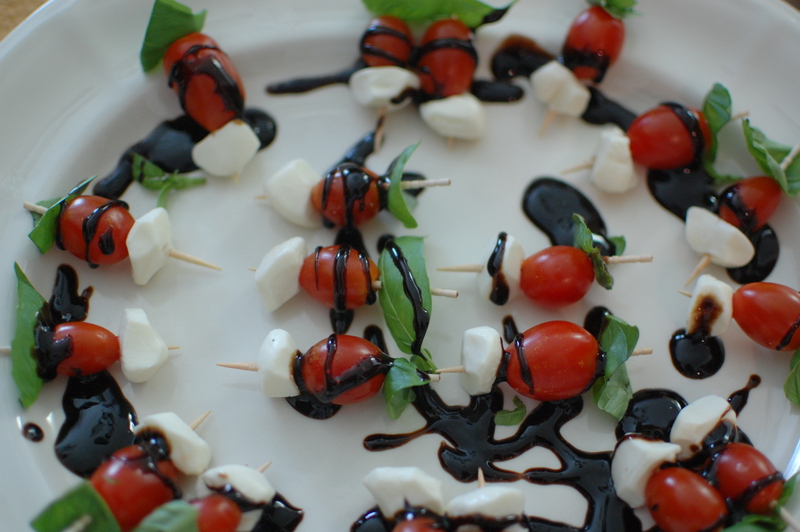 Enjoy this summertime recipe all year-long by using grape tomatoes that are always available. Cut mozzarella Cheese in small 1/2 in. chunks or use the cute little pearls. 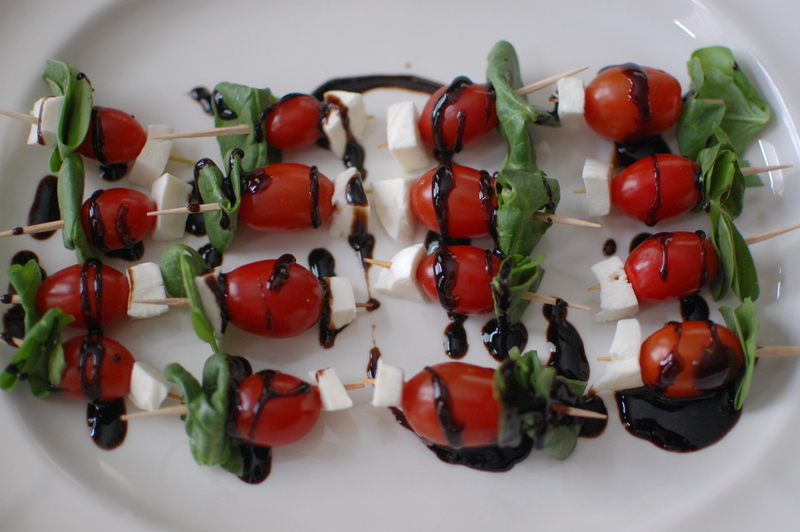 Place basil or spinach leaf on toothpick, then tomato lengthwise, and last Mozzarella Cheese. 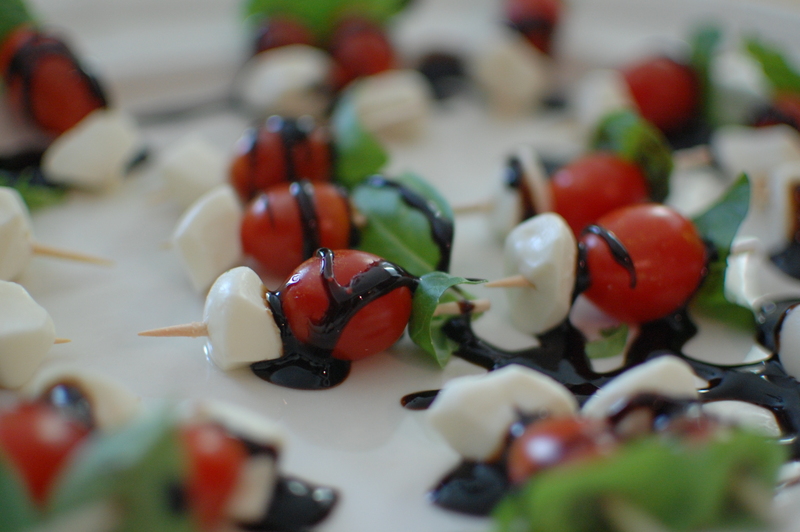 Mix Balsamic Glaze with ranch dressing seasoning. For about 20 skewers I used 1/4 cup of glaze and about 1/2 teaspoon of the seasoning. Whisk together. You can purchase the balsamic glaze at the grocery store.